DENISE HAMILTON is Founder and CEO of WatchHerWork.com, a digital learning platform for professional women. 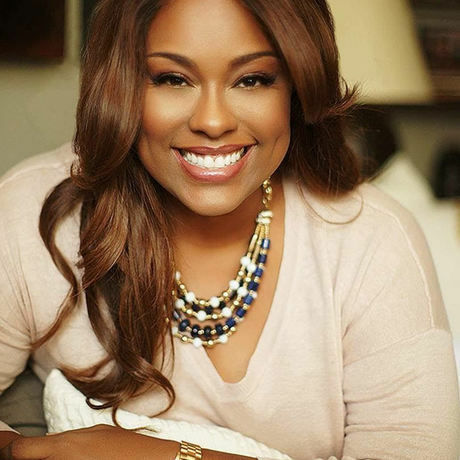 Denise is a highly requested speaker and trainer as well as media personality whose platform has reached and served thousands of women all over the world. As Founder of WatchHerWork, Denise has developed workshops and programs that have empowered the lives of women, and altered the trajectory of careers and businesses all over the country. She has built a library of over 6,000 videos providing professional advice to women from all walks of life. To do this, she built upon her over 25 years experience as a corporate executive with Fortune 500 companies like AOL and CBRE, as well as her experience as an entrepreneur and as a mentor to thousands of women over the course of her career. Denise has been featured on NPR, Forbes, Huffington Post, CBS, NBC, the Root.com, and many more. She was named one of Houston’s 50 Most Influential Women by Houston Woman Magazine, one of the 41 Most Fascinating People in Houston by the Houston Chronicle and most recently, a 2018 Woman Who Means Business by the Houston Business Journal. Denise is married with one daughter who is also in the technology industry.